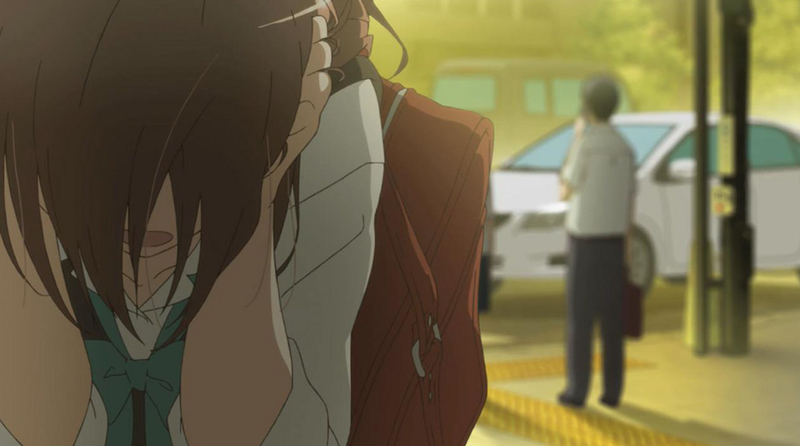 Things seem to go back to normal very quickly between Yuki and Kaori, but with her memories wiped, things are still difficult. The gaps in Kaori’s memory become more and more visible. Meanwhile, the newly crowned Teen Douchebag lets on a bit more about Kaori’s past. I feel a bit better with the direction of the show after last week’s disappointing developments. I’m glad we didn’t have to watch Yuki crawl back all the way from square one, as that would quickly become tedious. In fact, this reset managed to highlight some major issues the two of them have. Kaori’s hairpin trigger resets mean that progress will be that much harder. We finally see Yuki crack from his optimistic facade and see him as a more complete character. This includes seeing an ugly side to him as well. 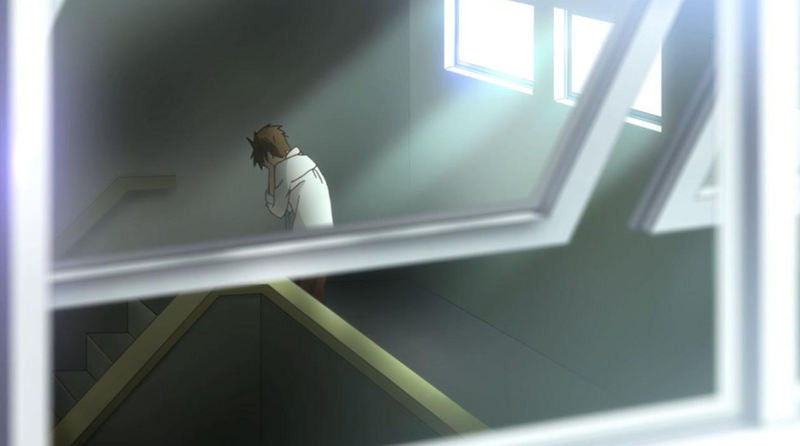 There’s already been many examples of his selfishness in his friendship with Kaori, and now that things are becoming truly hard, he starts to lose his resolve. The breadcrumbs have been leading us closer and closer to the root cause of Kaori’s trauma, and it seems we’ve finally gotten the last piece of the picture. From the looks of things, it seems like on of the most petty things of all time, but then again, she was a tween when this accident happened. Jealousy makes monsters of many, and in this case Kaori’s friends were friends in name only. I highly doubt Kaori was actually in a relationship with Hajime, but obviously it looks like the verbal assault she received because of it was the reason she ran away crying. As much as pairing off the secondary characters is lazy plot development, I do have to admit that Shogo and Saki have a cute chemistry together. More and more, it seems like the way Saki acts is intentional on her part. Much like the “moe” concept, it seems like she acts unreliable so that she will have people around her that she can rely on. The romantic teasing was a bit blunt, but worked perfectly with Saki’s stream of consciousness way of speaking. 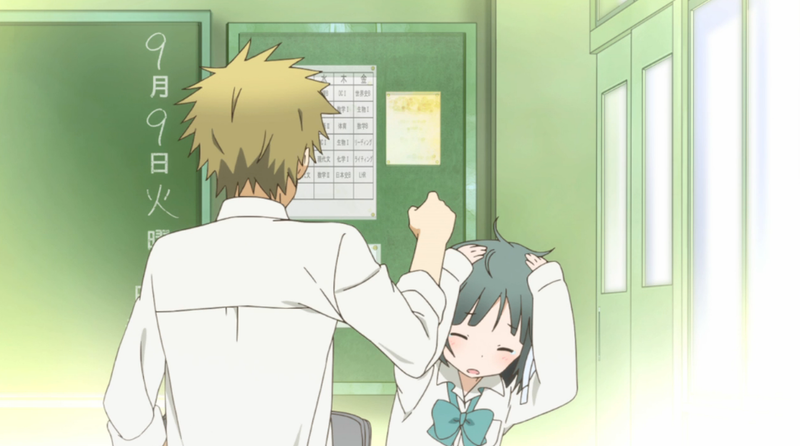 Their relationship is a nice bit of levity in an otherwise heavy episode for Yuki and Kaori. I have to wonder what will bring Yuki out of his funk. Part of me wishes Kaori will be able to help herself rather than rely on Yuki, but without any memories that seems unlikely. As Yuki’s conscience, it will be interesting to see what Shogo has to say, as I could see it being the catalyst of their recovery.